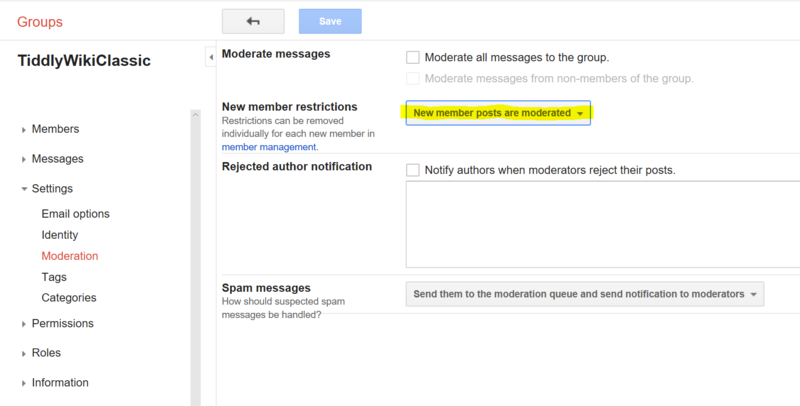 How to allow to post in Google groups without moderation after first approved post? only the first post by a user is moderated and once it is accepted, they no longer need moderation. However, I've got a second mod notification and had to approve the second post by the same user. This should be somewhat frustrating for users, so I wonder what am I doing wrong? How to allow their post automatically once the first one got approved? When approving incoming posts from new members, there's a box to always allow future messages from that member. In Google Groups, is it possible to see the content of my posts that are held in moderation? How can I move a post to another topic in Google Groups?